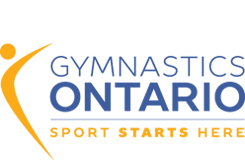 5 Ontario member clubs participated in the Canadian Gymnaestrada 2018, June 27-July 1; a national celebration of gymnastics and movement where 1000+ participants from across the country come together for four exciting days of performances, workshops and festivities. Congratulations to our Ontario clubs for their outstanding performances; Kanata Rhythmic Sportive Gymnastics Club, Milton Rhythmic Gymnastics Grace, Pirouette Rhythmic Gymnastics Club, Rhythmic Waves, and Toronto Gymnastics International! ‹ Happy Gymnastics Resources for Quarter 4 are now available!! !